In large Panzer Grenadier battles, it doesn't take long to discover one of the hazards of stacking counters: They tend to fall down. The stacking rules allow for three units to be in the same hex, as well as any number of leaders. If each of these units has a different order condition (disrupted, demoralized, moved or fired, etc. ), this stack can more than double in size. When you add leaders, the stack becomes precariously balanced and a well-meaning but misplaced finger can turn it into a scatter of counters, which you may not be able to return to their proper position. That is where the Battlegroups add-on comes into play. There are three components: a sheet of proxy counters, an Axis Battlegroups sheet, and an Allies Battlegroups sheet. The proxy counters are made up of several identifying letters. There is also a symbol for Axis or Allies, and a NATO symbol which declares roughly what the proxy counter represents: artillery, infantry or armor. The Battlegroups sheets also have identifying letters using their radiophonic mnemonics, and a box next to each one. Each proxy counter relates to one box on the Battlegroups sheet. Whenever you have a large stack of counters, place that stack on the Battlegroups sheet, and then place the corresponding proxy counter wherever you deploy that "battlegroup" on the map. The proxy counter should roughly relate to what is being represented, as mentioned above. Instead of moving an unwieldy stack around, move a single counter. 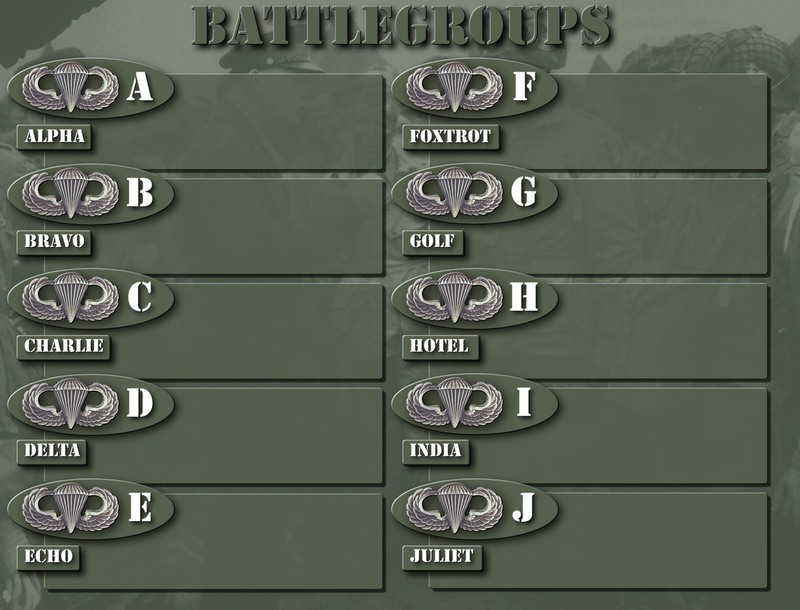 If an element of that "battlegroup" receives a marker, place that marker on the counter on the Battlegroups sheet. This works particularly well in assaults, where the mass of counters all crammed together in one hex can create a headache for any battlefield commander. If an opponent has any questions about what the proxy counter represents, it’s imprtant to be open and share that information. 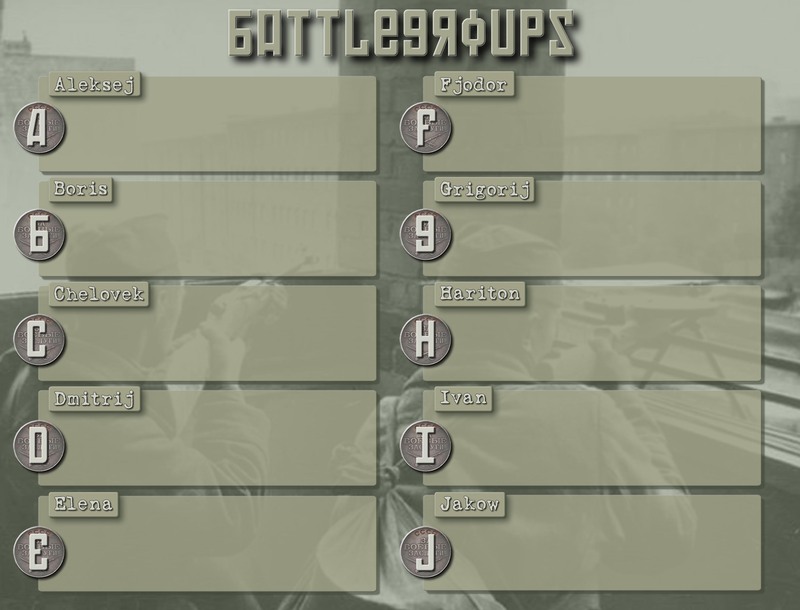 The Battlegroups add-on isn't meant to obscure the battle for the opposing player, but rather to minimize the fuss that occurs with large stacks of counters in a small map-space. However, that brings us to this fun variant . . . 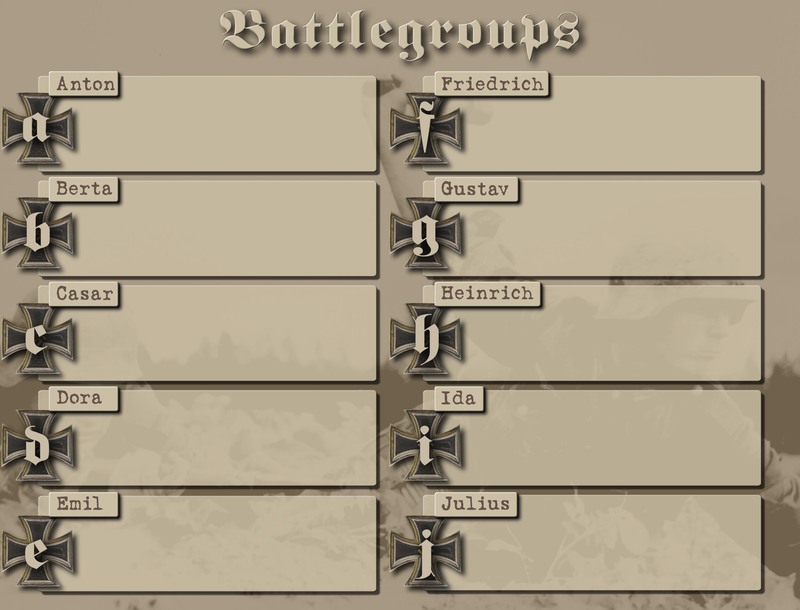 It is easy to use the Battlegroups add-on to simulate Fog of War on the battlefield. In this case, keep every counter on the Battlegroups sheet hidden. Once the proxy counter moves into spotting distance of an opposing force, place the actual stack on the map or reveal it to the opposing player. This is how I have used the Battlegroups add-on in several successful encounters, and the results were exciting. It diminished the omniscience that wargamers usually have, and increased the tension as a mob of proxy counters would start to creep up on other mobs of proxy counters. Try them out! Pick up a Panzer Grenadier game today!